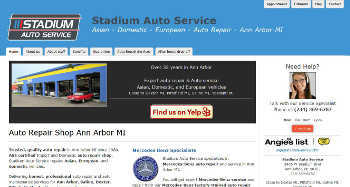 Articles and writing about auto repair website SEO and auto repair shop SEO. Your citation categories have a great impact on what keywords your website is displayed for in a Google search. Incorrect online information about your business can have a very serious negative effect on your search result appearance and position (ranking)... and your online marketing success. To kick things off with my 'Tip Of The Week' series I have a few tips about optimizing your Google Map Places (GP) profile. This should be top of your list in improving your auto repair website SEO. Your Local SEO Checklist For 2012 is a great, short article by Miriam Ellis that has lots of great advice about improving website SEO for local search. Why bother optimizing your Google Places profile?